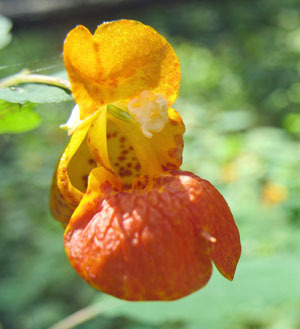 The name Jewelweed comes from the fact that dew and rain ends up on the leaves, forming sparking droplets of water. 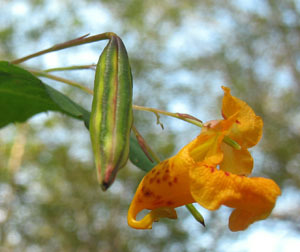 A fun identifying feature of the jewelweed is the explosive pop of the pod upon touch, dispersing seeds all over. Watch our short video to see it in action! 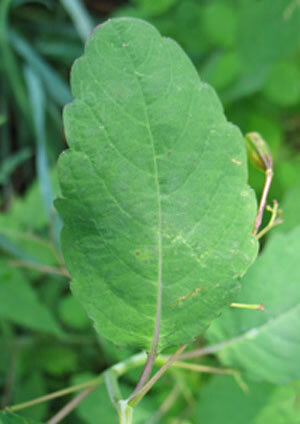 CLICK to download the short video.